In his article on The Solar System, Jerry, ‘The Science Guy’ provided us with some compelling evidence, raising questions with regard to our ‘Cosmic Neighborhood’. The answers seem to point again and again toward a ‘young earth’, measured in thousands of years – rather than billions. Today, he’ll take on the question of dinosaurs. We have only a few topics left to show that worldview and belief system affects scientific reasoning. We have covered geology, biology, and the physics of radioactive dating. Now, for a topic that causes many young people to fall in love with science, Dinosaurs. You ask any school teacher, and they tell you that dinosaurs lived millions of years ago, and people evolved recently. No person ever saw a dinosaur. That mantra has been around for over a hundred years, and only in fantasy movies is it otherwise. This is a picture off of the Ta Prohm temple in Cambodia. It was built in the 1300’s. Ask any child what that carving is and they will say a stegosaurus. A dinosaur that was 50 million years ago. Ask a scientist and they will say it is a rendition of a boar, or a rhinoceros. Those are leaves on its back. But where did the original person get the idea from? You draw what you have seen usually. To me it looks an awful lot like a dinosaur. 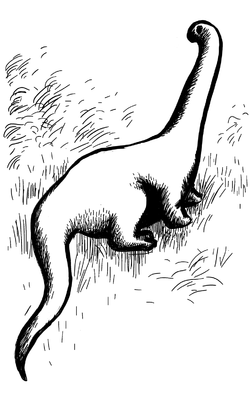 This next picture shows us what looks like a sauropod to any young child (Diplodocus, brontosaurus, etc.). To the trained scientist, it is really a snake where the colors ran down to form legs. Occam’s razor states that the simplest explanation is usually the true one. 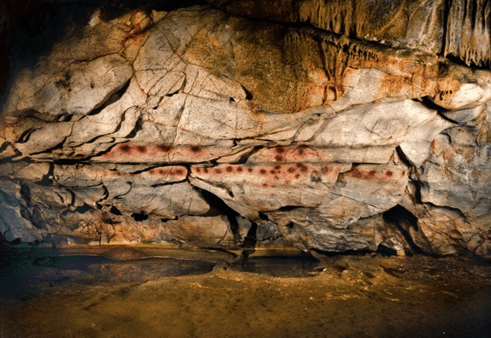 You can look at cave art from Neanderthal man. The picture below is a type of ox from a cave dated 30,000 years ago. No one is saying that it is something else. What other than old dogma makes one picture valid, and the other not? Is it just the world view? The need to continue getting grant money? Once, eight years ago, I was on a family trip to Baltimore / DC area with my family. I went to the Baltimore science museum and walked into the main atrium. It had large ceilings, grand open spaces, and inside was a dinosaur display. The facts were there that two sets of dinosaur tracks found going in the same direction. One was a carnivore track, and one a herbivore. From those track ways, and no other information they constructed chase scenes; they recreated the dinosaurs to be bird-like in the midst of evolutionary change. They made many assumptions from just a few tracks, but it got people attention and ingrained evolutionary thinking. Then there’s the Paluxy River in Texas. A site there has footprints of dinosaurs and humans in the same limestone. 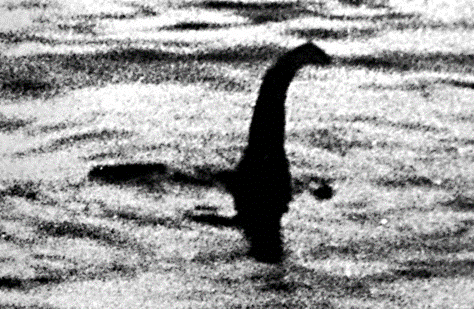 When that gained attention, scientists were sent to debunk the site. The tracks of the humans are eroding away, and don’t look too human anymore, but the question still remains. 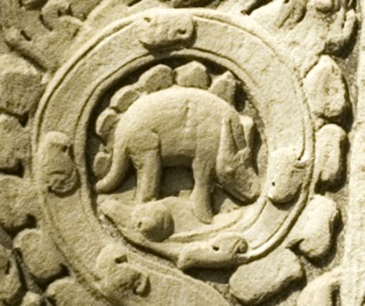 Did humans and dinosaurs roam the earth together? According to the Bible they were both created on day 6. Both were declared “good” by the Father. Dinosaurs in theory were commanded to board the ark with Noah. There is plenty of room for baby dinosaurs, especially since science tells us few were larger than sheep. Job chapter 40 in the Bible mentions behemoth, sometimes translated as hippo, but it does match a sauropod description better. 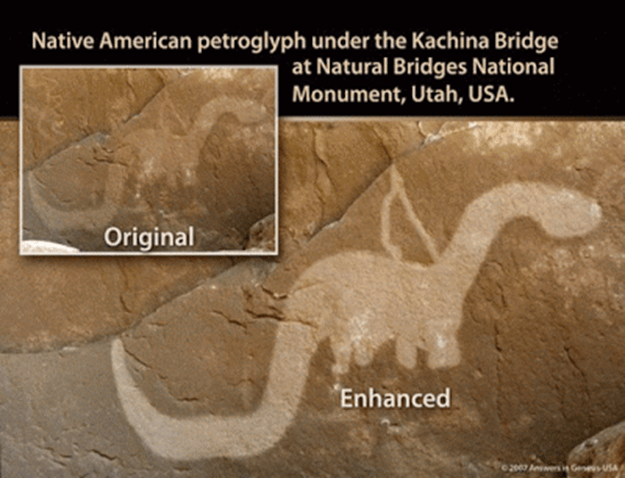 Where else in history did we ever see dinosaurs? 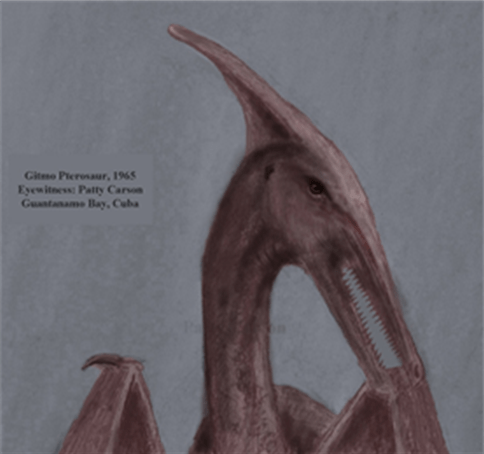 During my research for this article, I recalled that there have been numerous Pterosaur (types of flying reptiles, one type called a pterodactyl) sightings in the United States each year. They far outnumber ‘Bigfoot’ sightings. 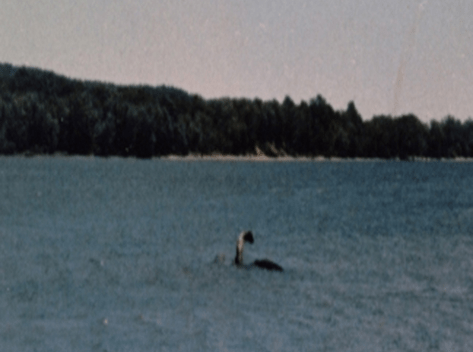 The study of these unusual animals is a science called cryptozoology. Many of these web sites are pseudo-science and all things read must be taken with a grain of salt, but I am just saying, every culture throughout history, makes you wonder. People quickly killed many dinosaurs before the dinosaurs killed them. Over the years, the only ones that survived learned to stay far away from civilization. When it comes to non-observational science, you believe what you want to believe. Next week – Astronomy and Cosmology.